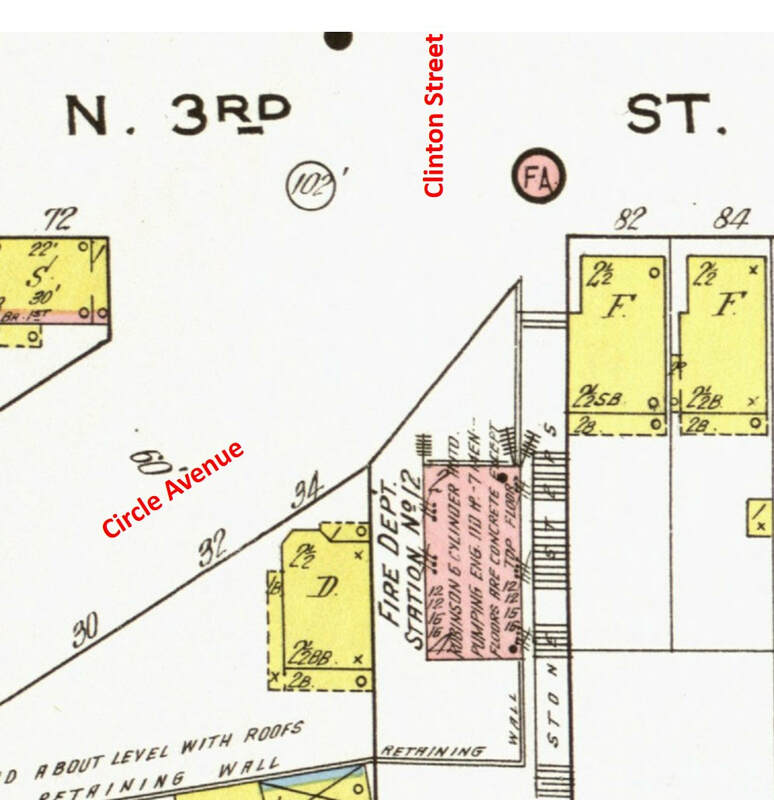 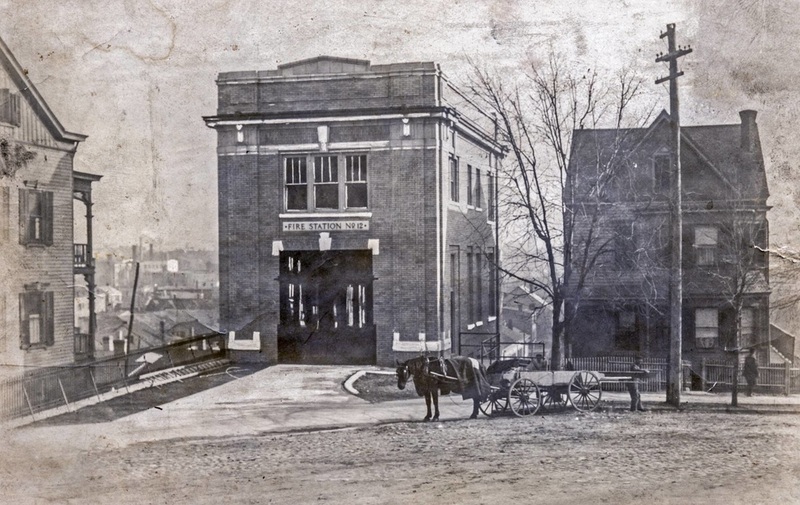 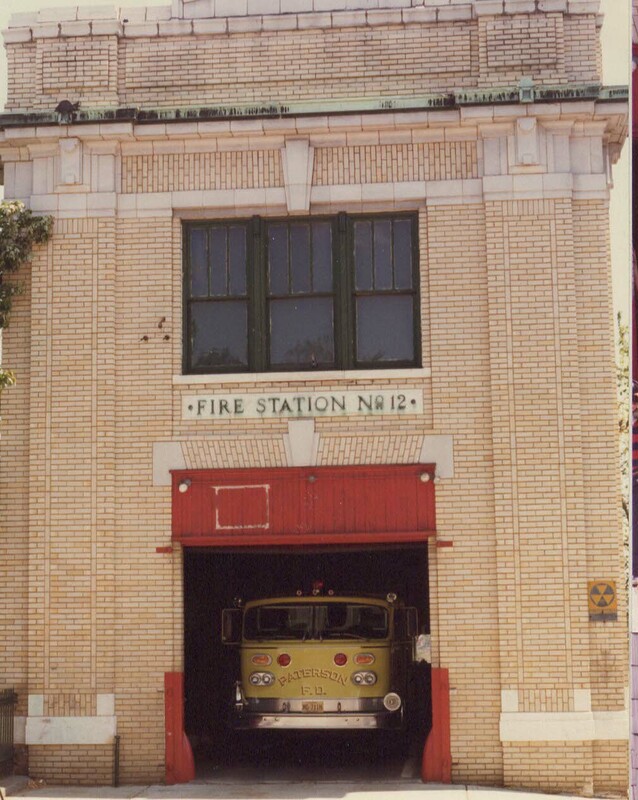 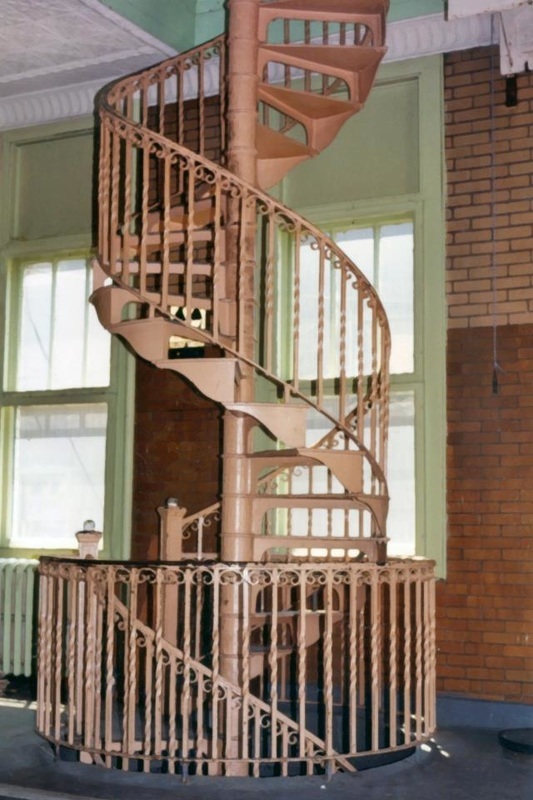 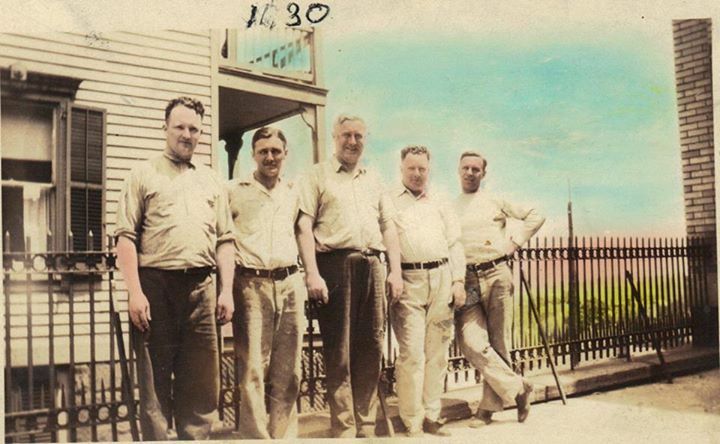 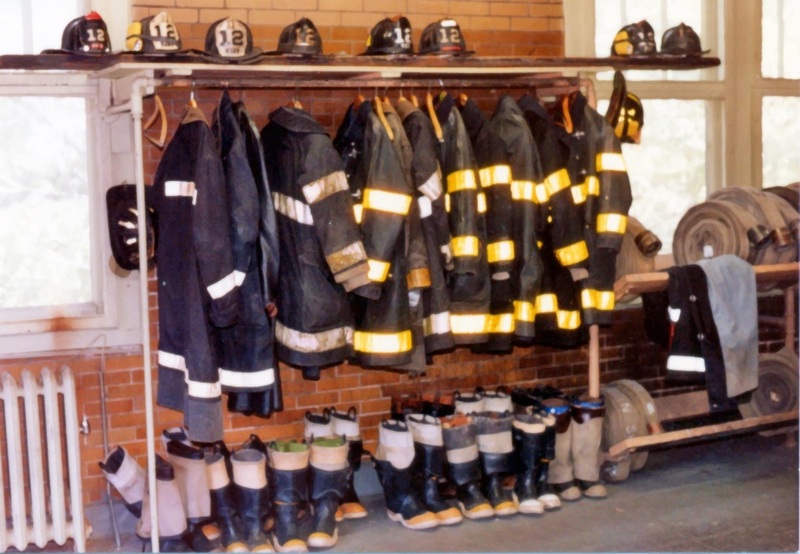 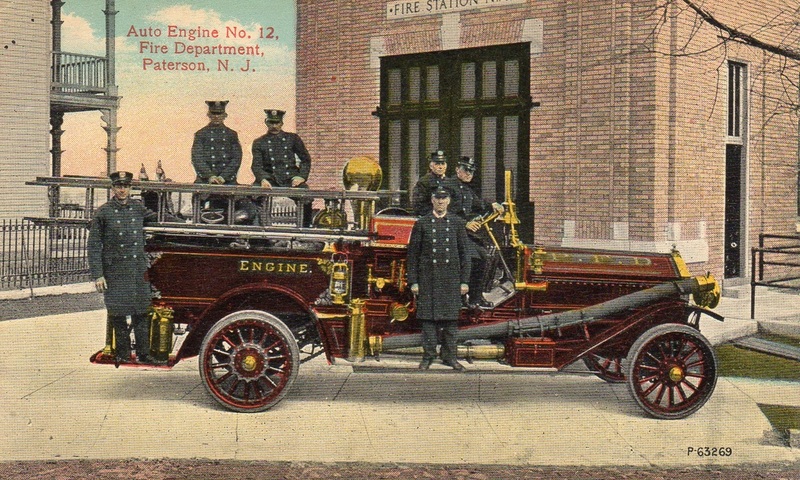 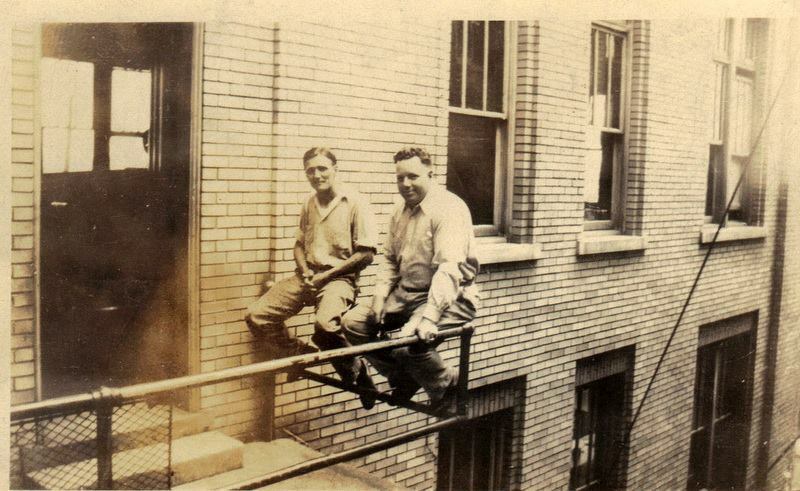 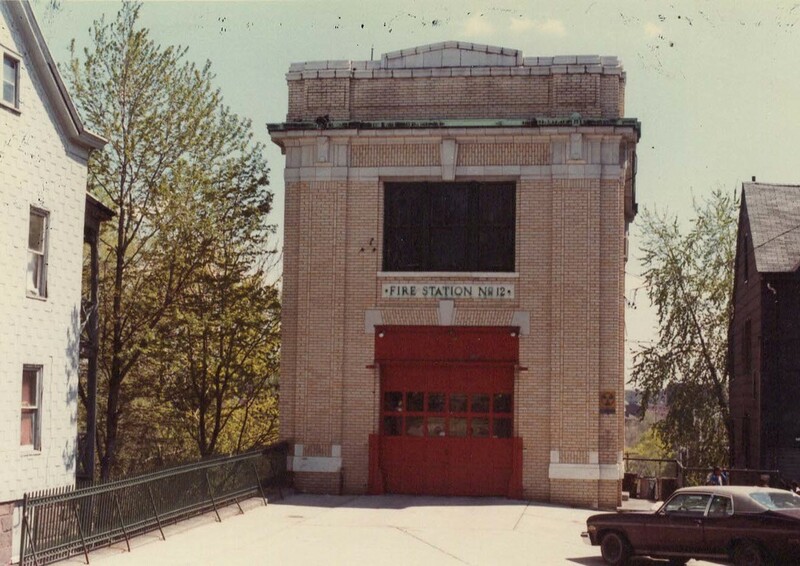 ​January 10, 1913: The 36 Circle Avenue firehouse at the intersection of North 3rd and Clinton Streets was opened. 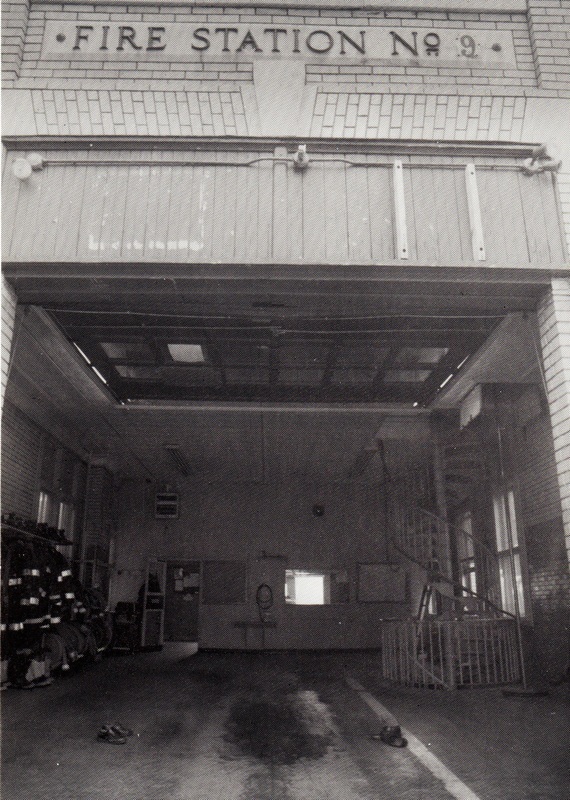 It was built on the side of a cliff and has five stories, with level 3 being the floor on which the apparatus exited the firehouse. 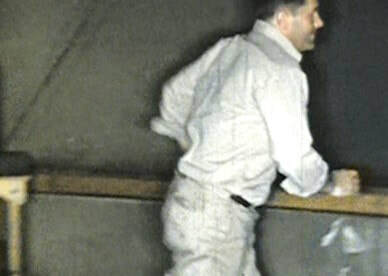 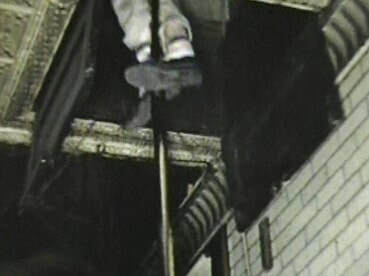 This bizarre occurrence was featured in Ripley's "Believe it or Not" book. 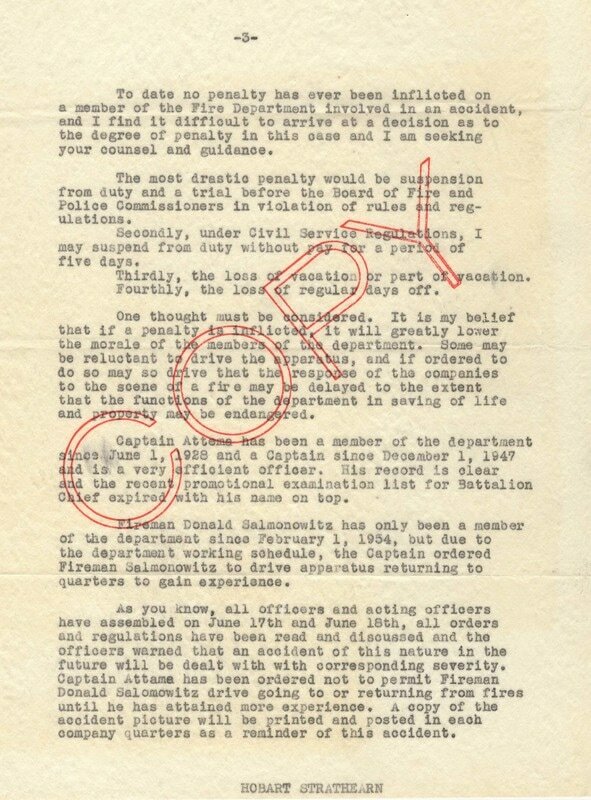 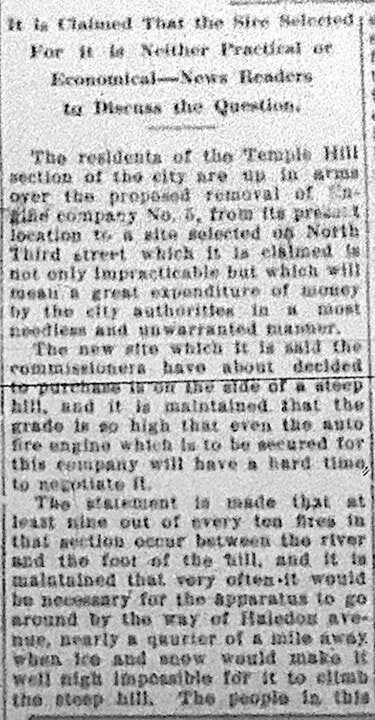 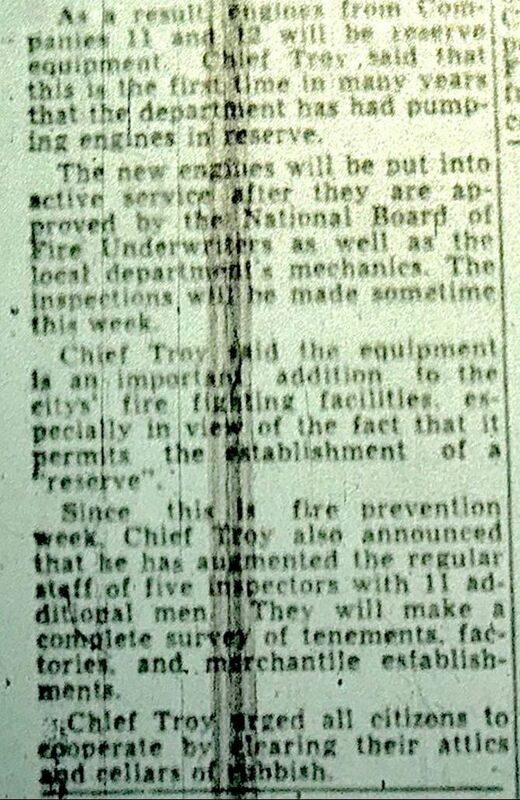 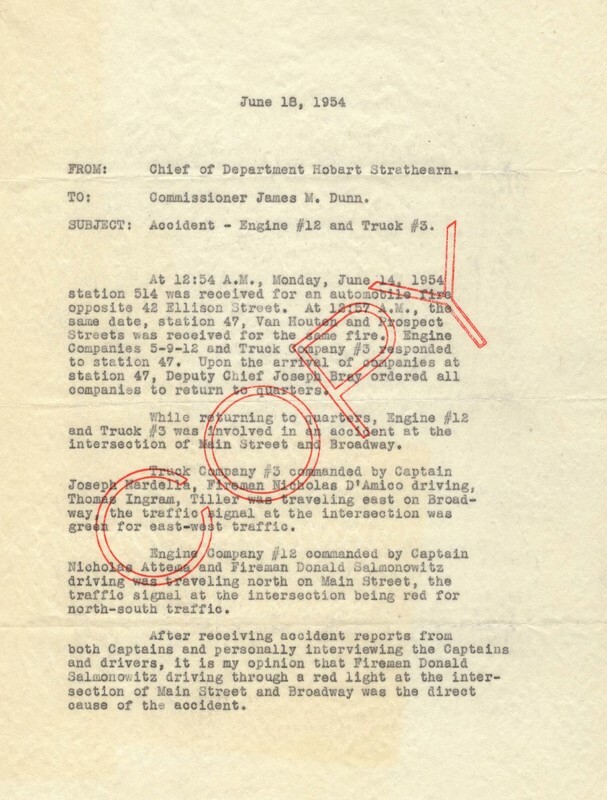 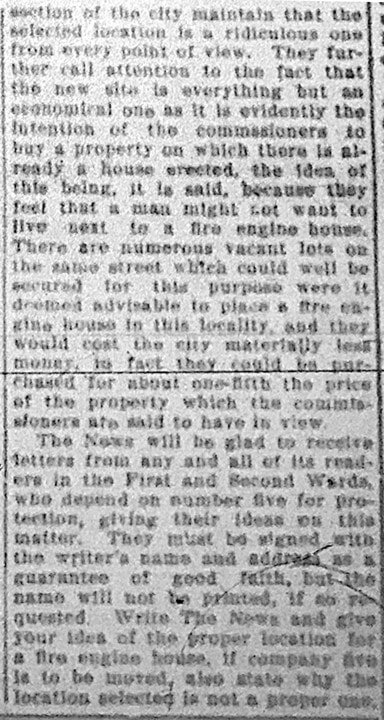 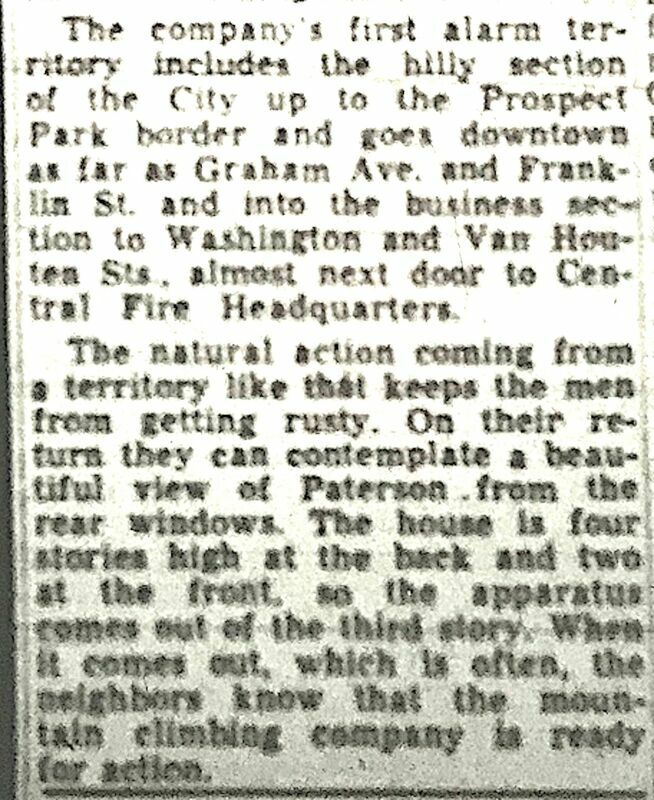 March 11, 1911: Mayor McBride reveals location of new firehouse revealed and states it will have an auto-engine capable of climbing the hills. 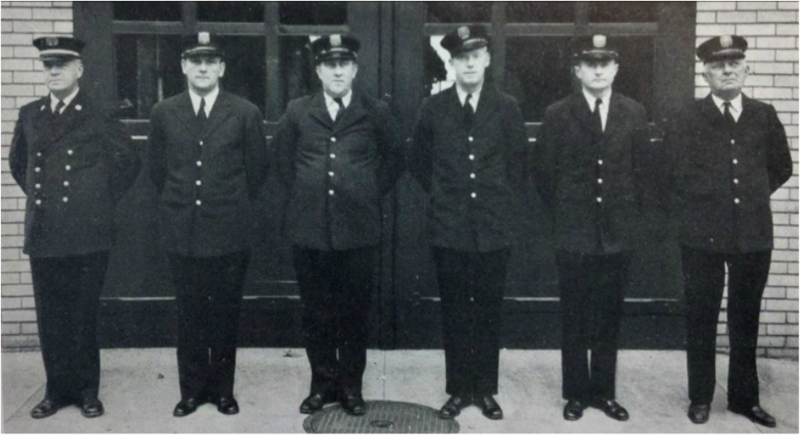 Left to right: Lieutenant Thomas Halliwell, Peter Sanford, and Captain John McGuirk. 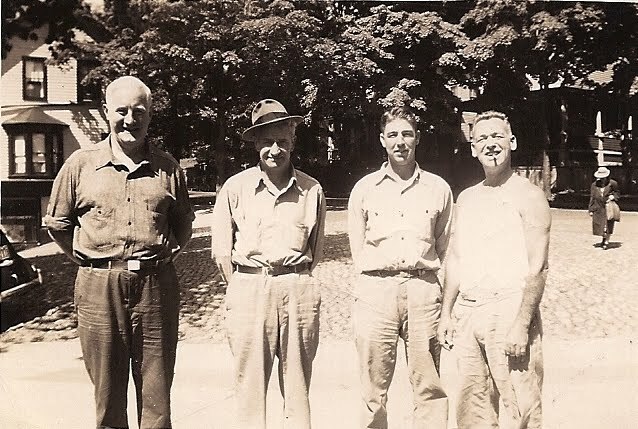 Second row: William McKelevry, Peter Ihrman, William Shane, and Aaron Kamerling. 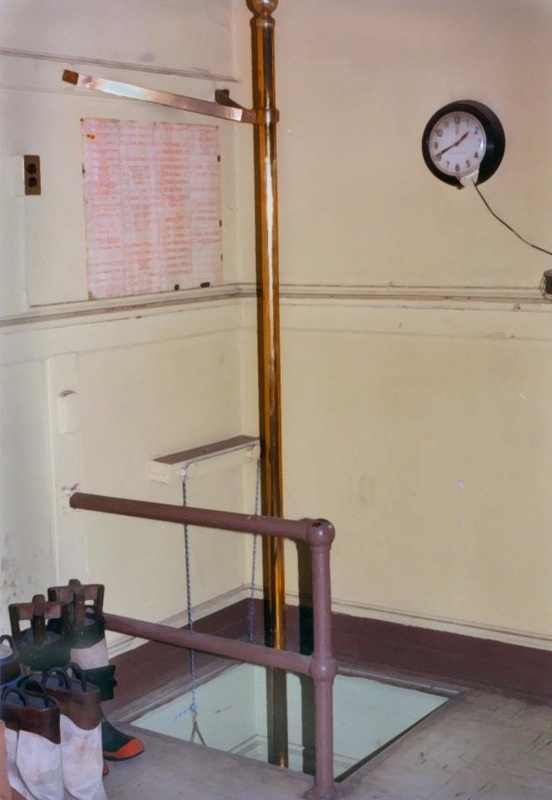 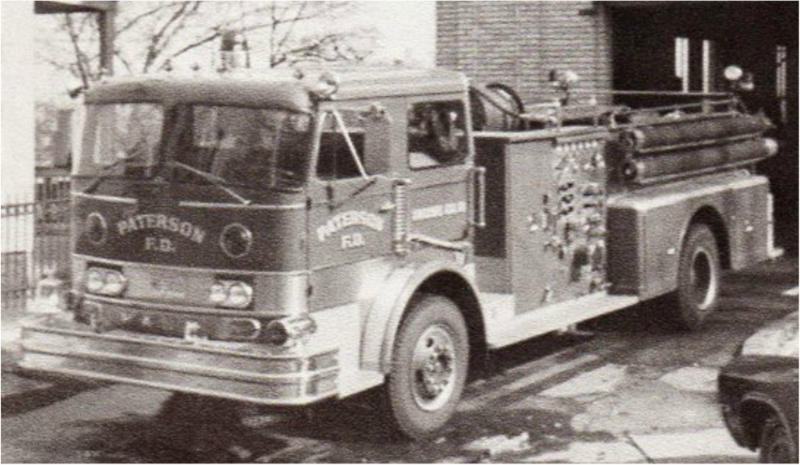 In rear is the Robinson apparatus. 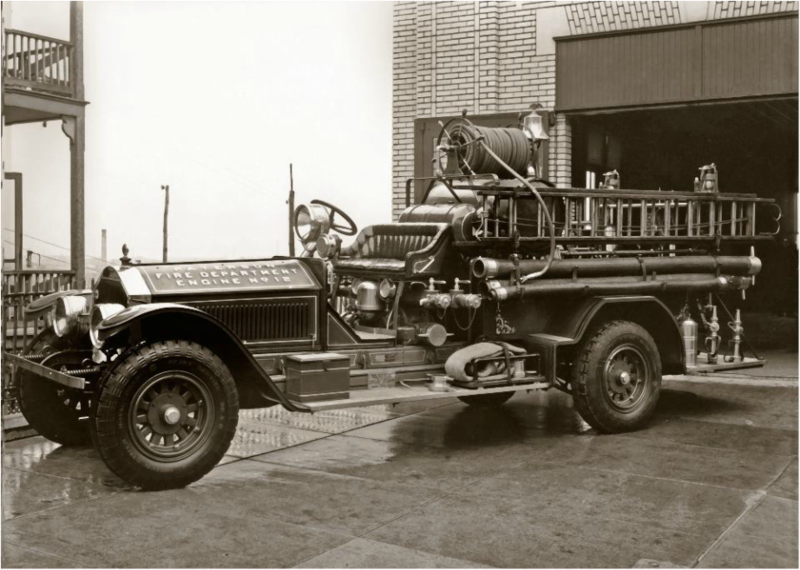 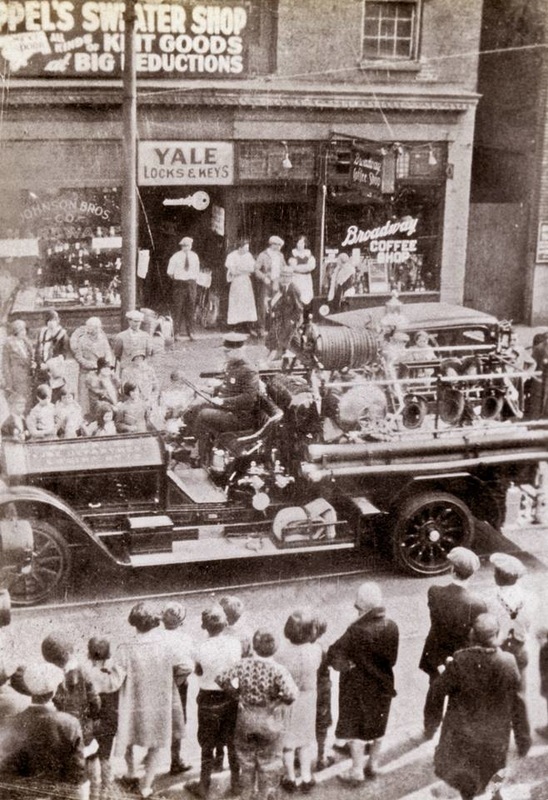 1923: First Size American LaFrance Triple Combination Hose Chemical and Pumping Engine (Serial # 4415) with booster pump pictured below at a 1928 parade on Broadway (note solid rubber tires). 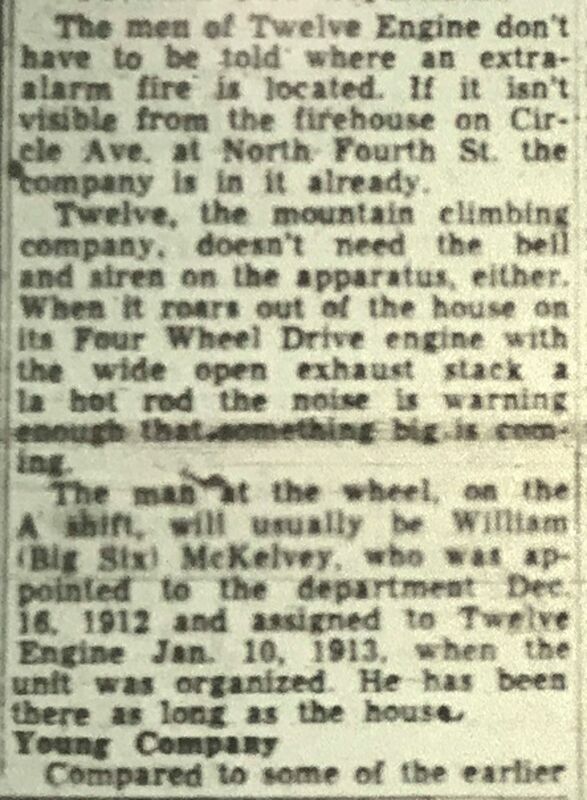 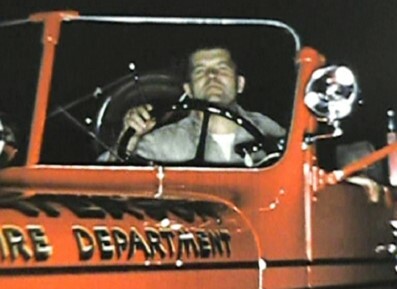 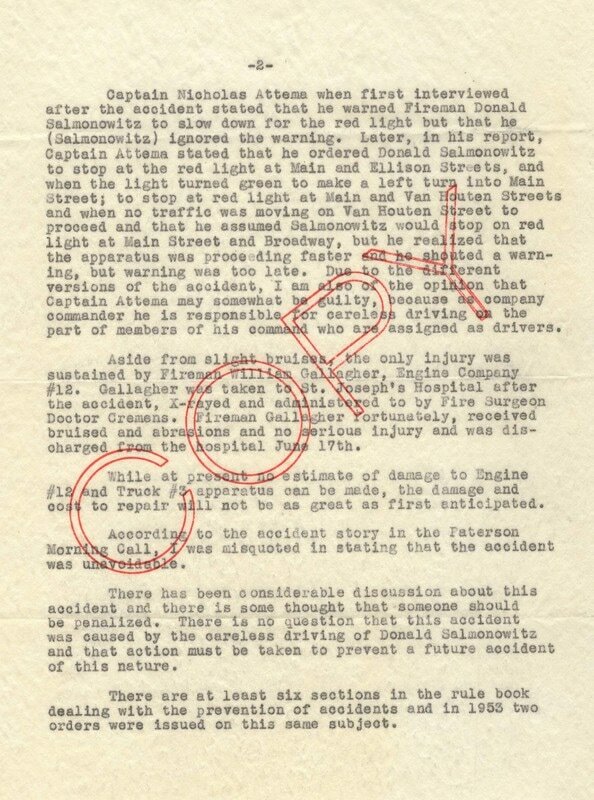 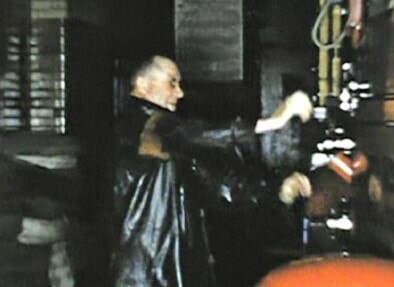 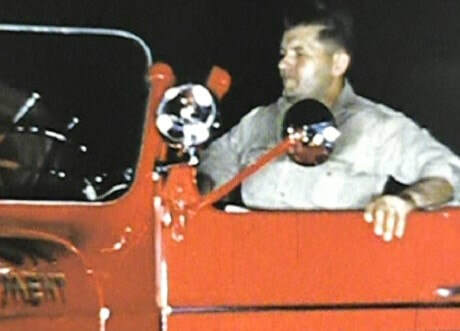 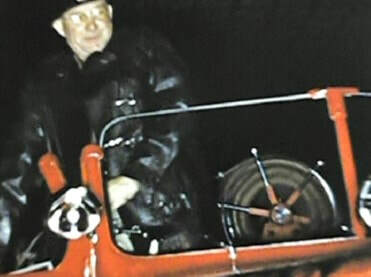 Driver is William "Big Bill" McKelvey. 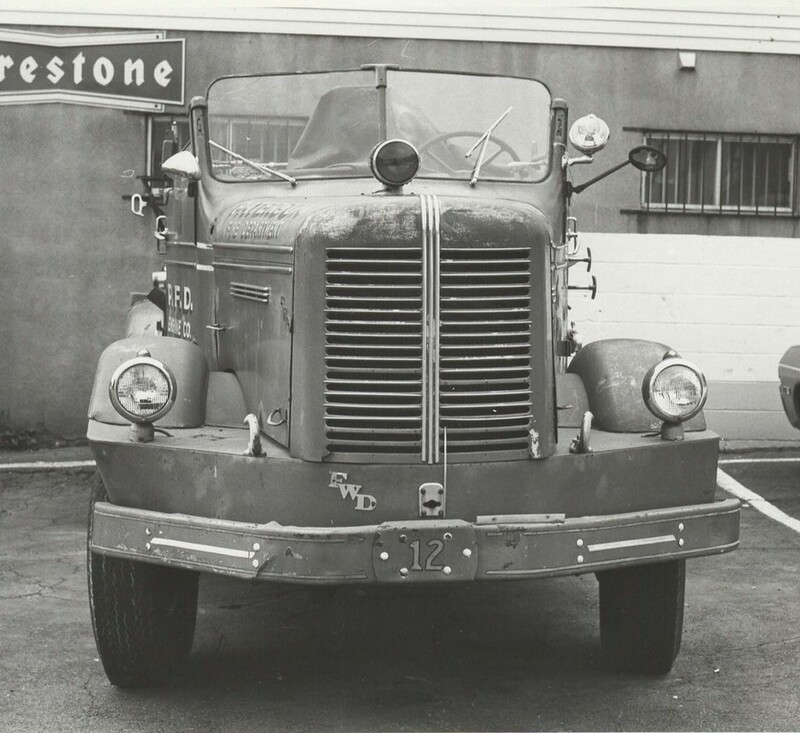 1923 ALF on apron at Circle Avenue, now with pneumatic tires. 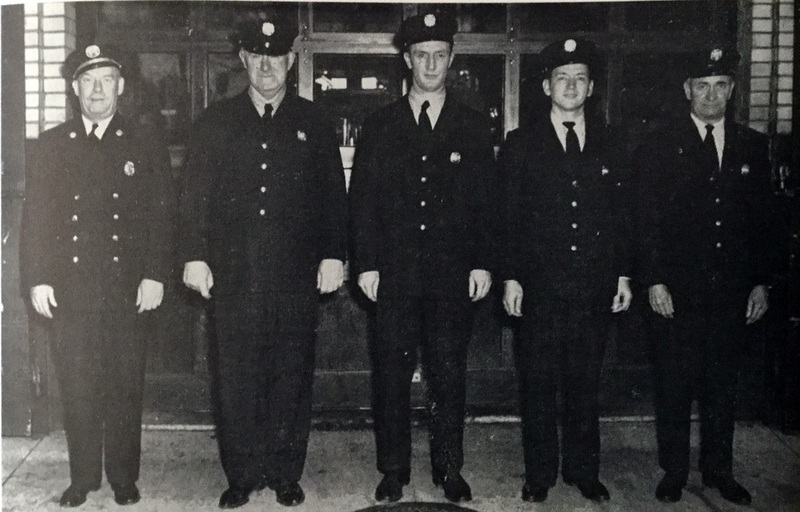 ​Circa mid 1940s: Left to right: Firemen Bill McKelvey, Ernie Wildermuth, Edward Westhoven and Howard Probert. 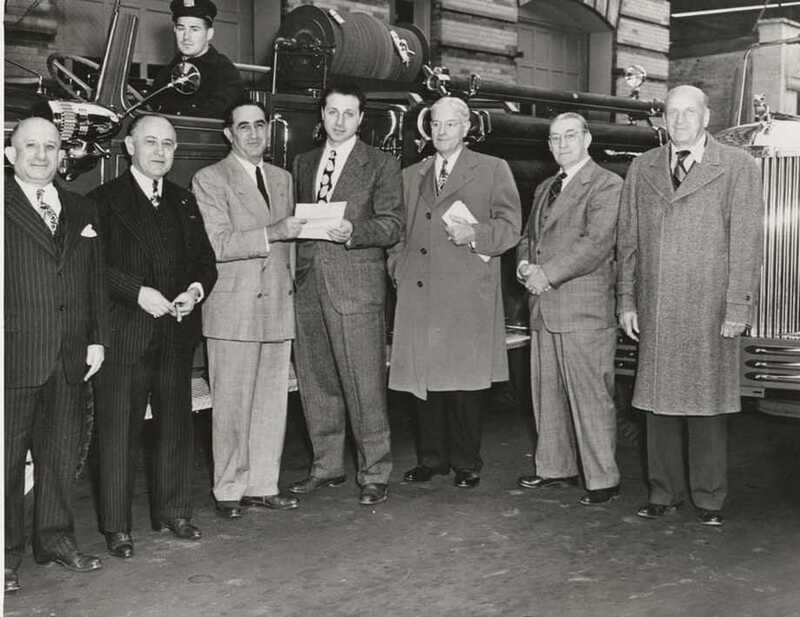 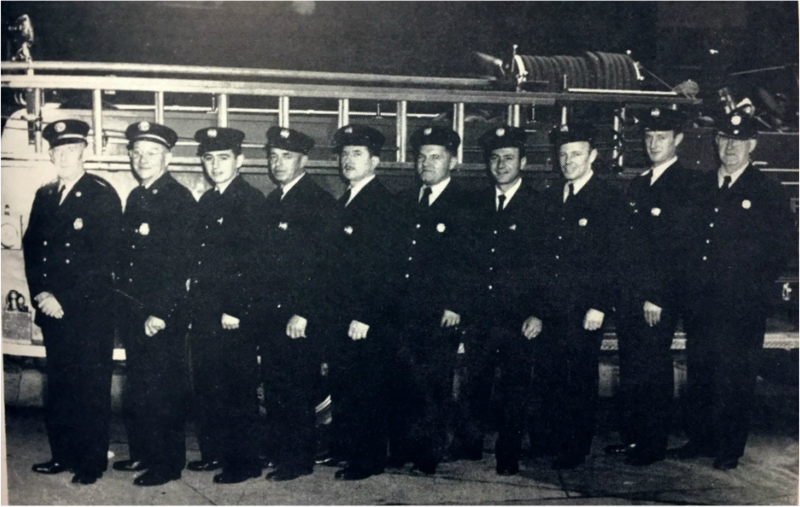 1950: Crew of E12 B-shift in front of Mack pumper at 36 Circle Ave quarters: Top L-R is Robert Marion, Captain Thomas Schofield, Patsy Fusaro and Henry Borgman. 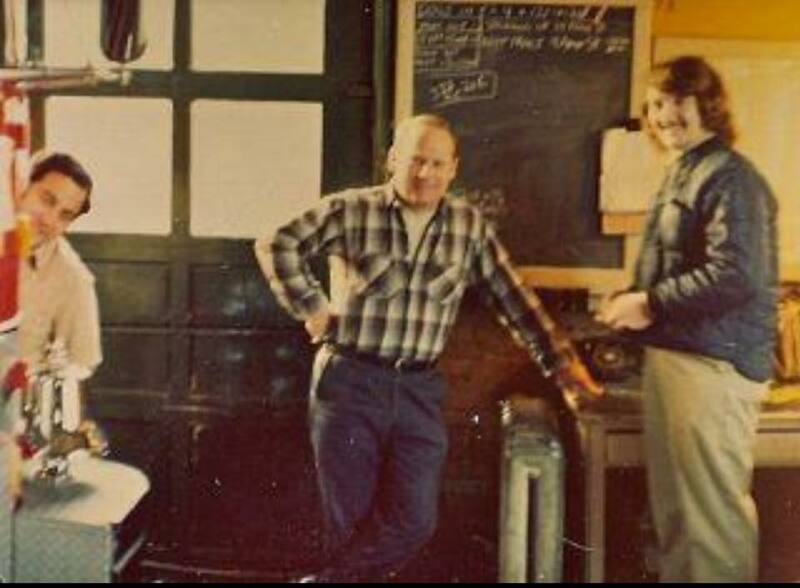 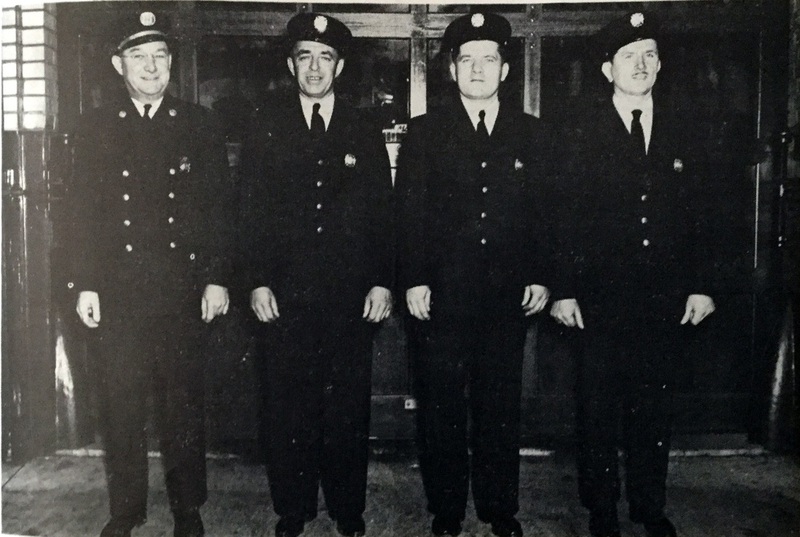 In front L-R are Ernie Wildermuth, Al Horomanski and Ed Peters. 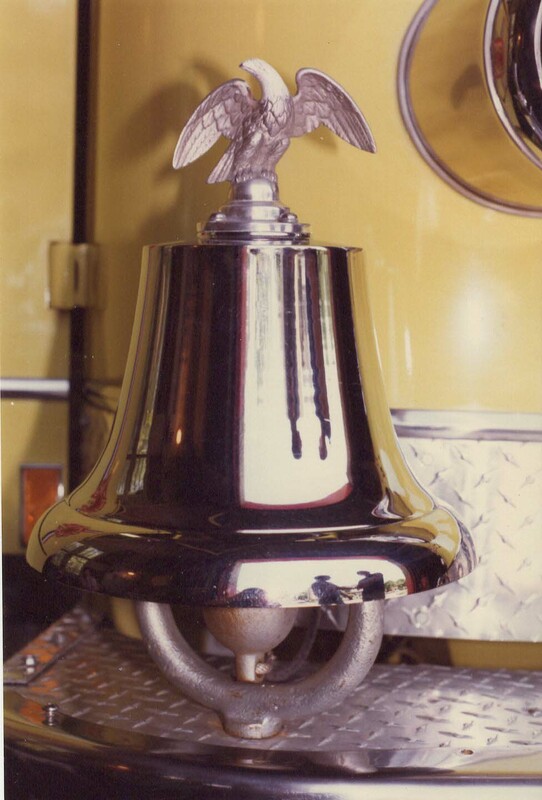 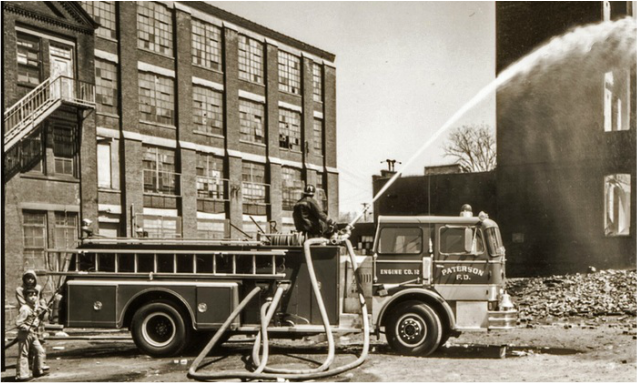 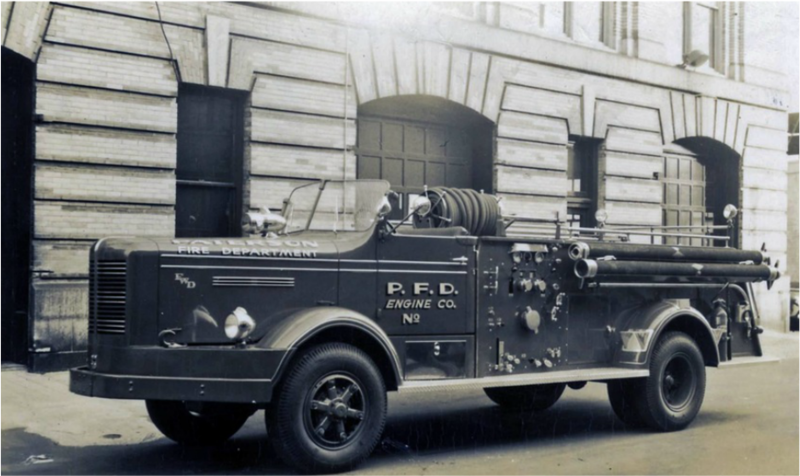 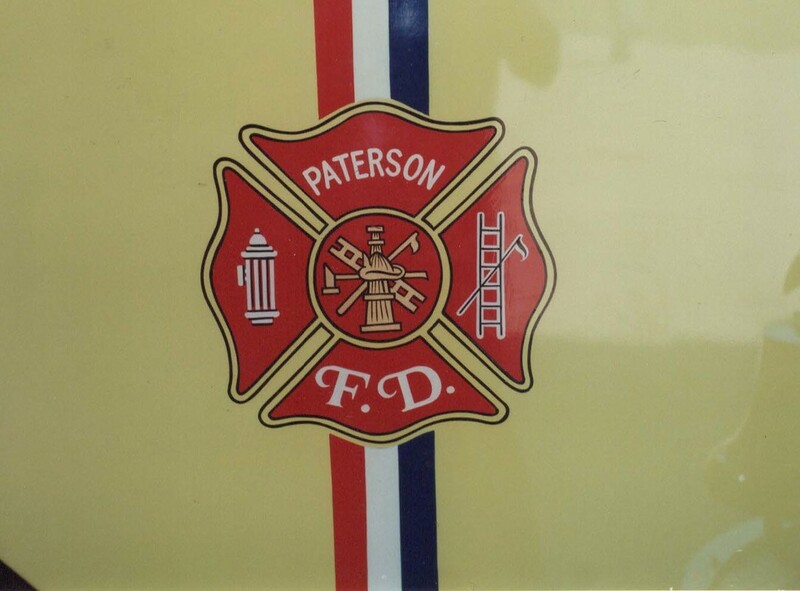 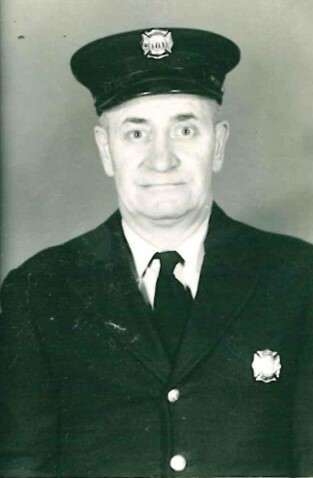 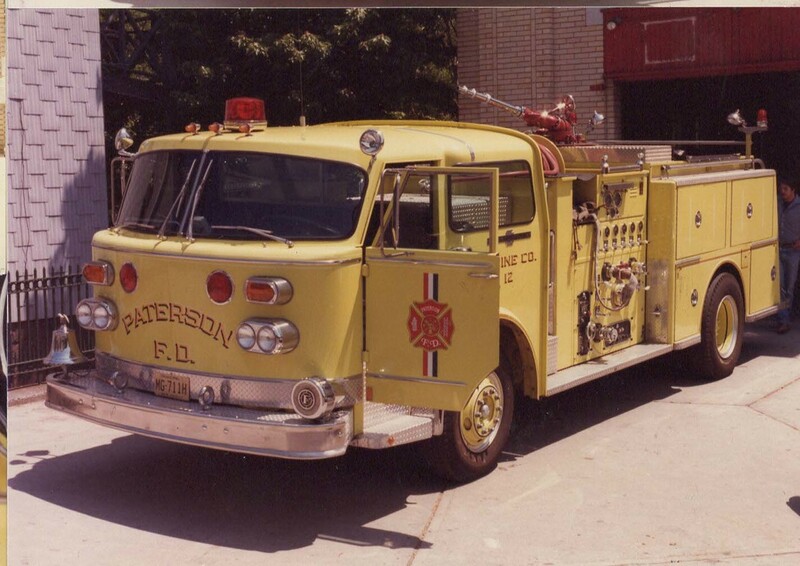 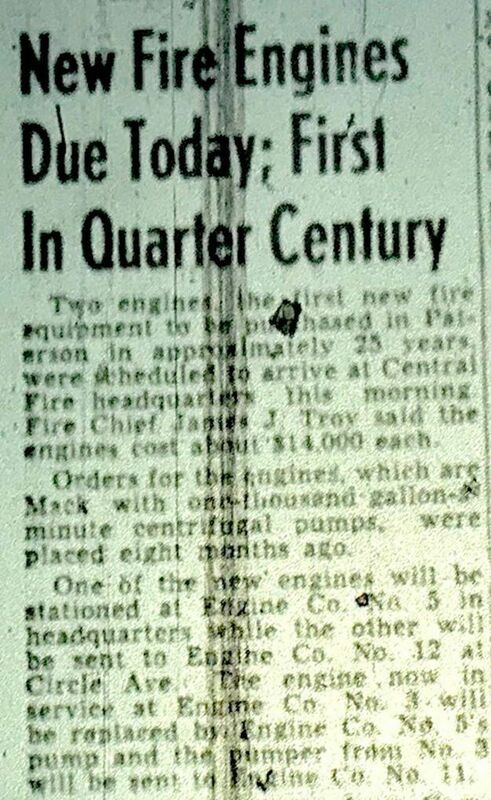 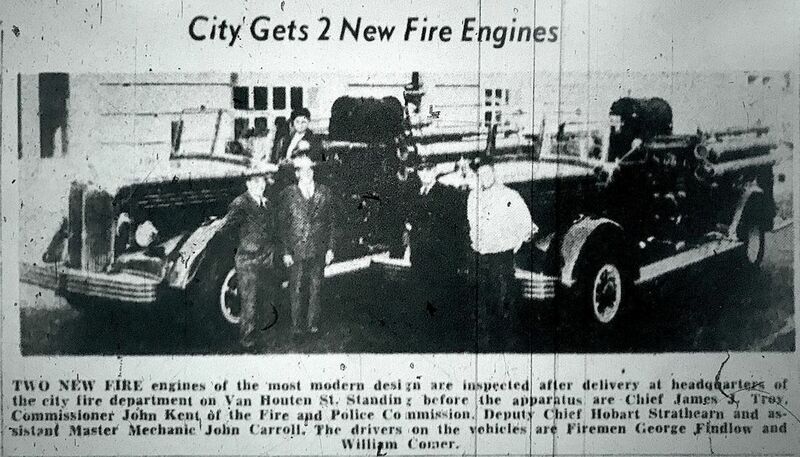 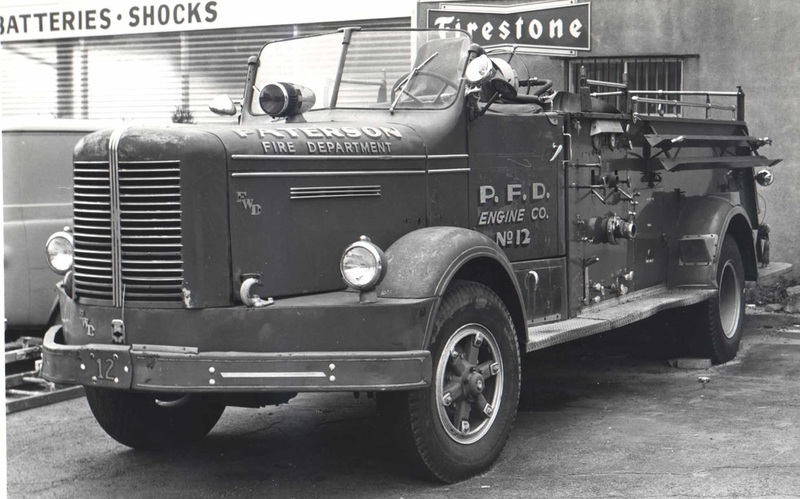 September 18, 1953: ENGINE COMPANY 12 - From the Morning Call Series of PFD Companies. 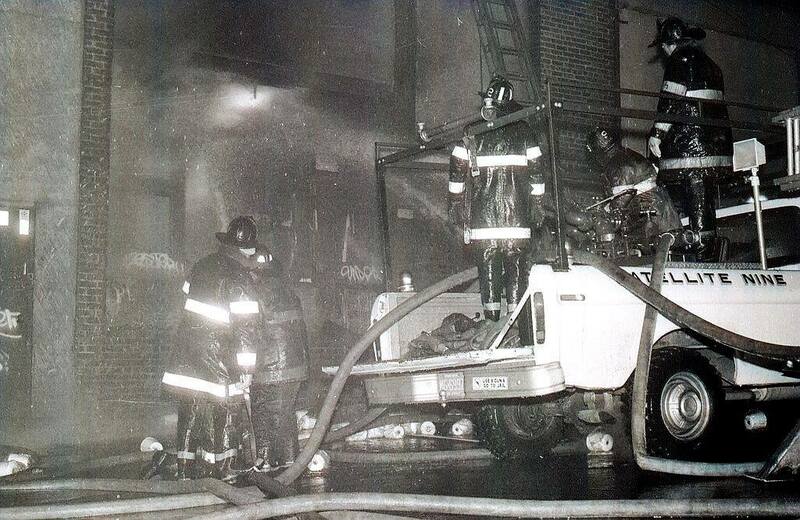 1967: Men of Engine 12 in quarters with FWD pumper: Front row L-R: Michael Fleming, Joseph Ozene, Leonard Bremus, Captain George Kilgour, and Captain Donald Salmanowitz. 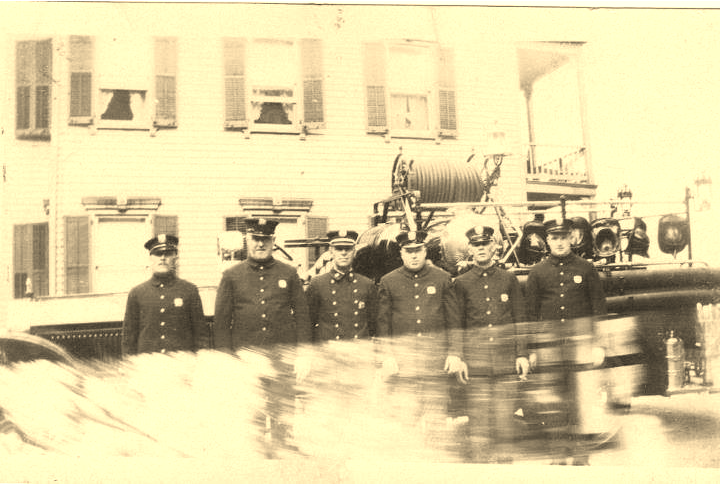 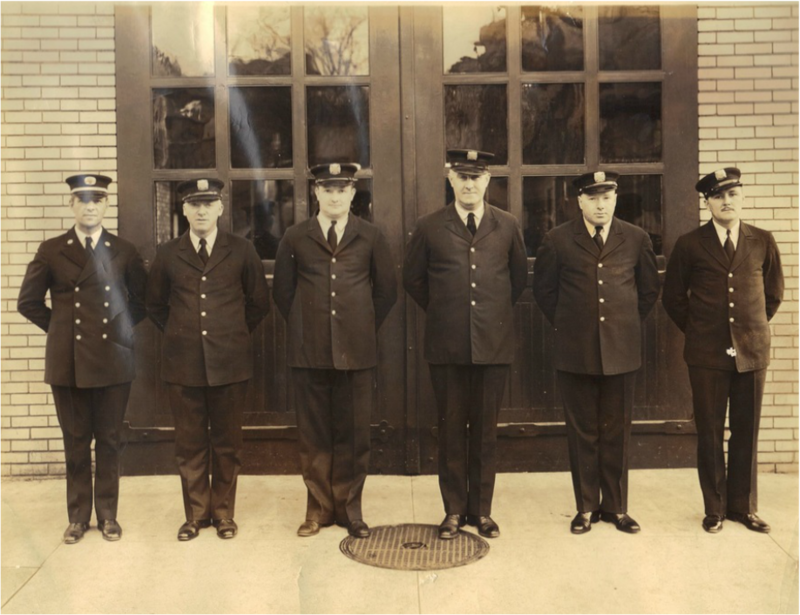 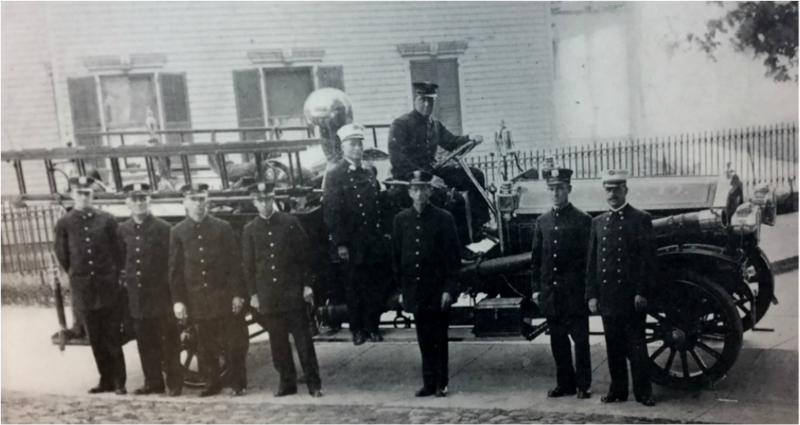 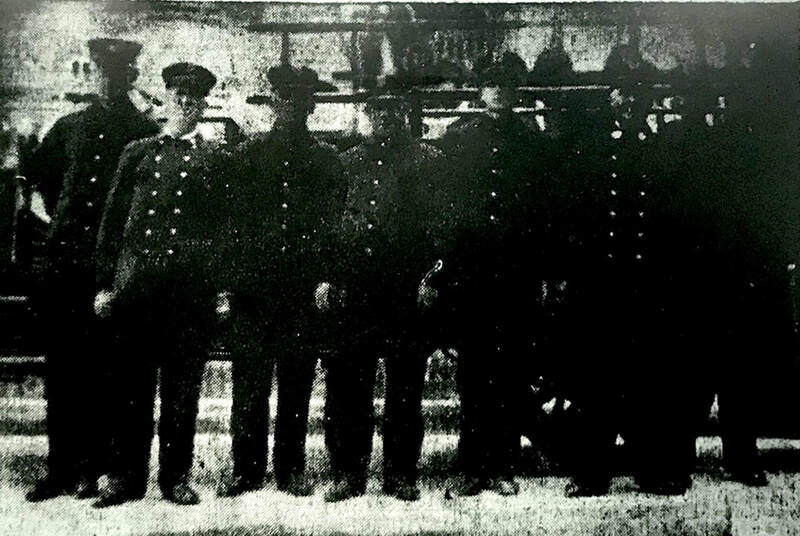 On apparatus L-R: Edward R. Kane, William Rasp, John A, Cichon, Anthony Lott. 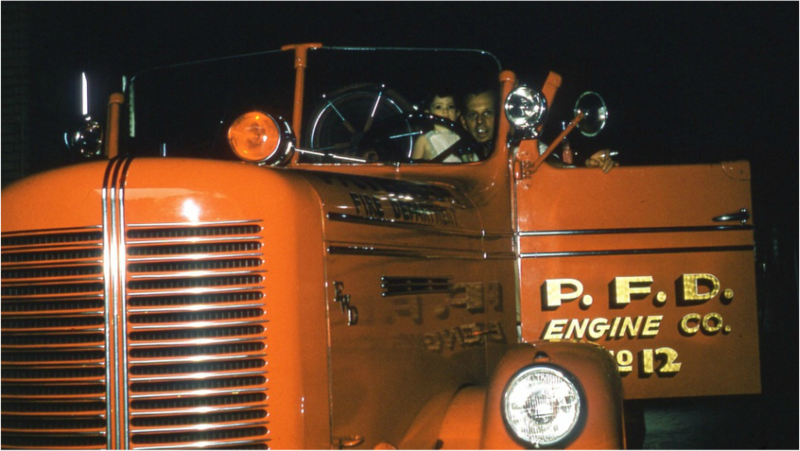 1967: Men of Engine 12 in quarters with FWD pumper: Front L-R: Kenneth Doland, Captain Henry Borgmann, Captain Anthony Corbo, Albert Roth; at top Harold T. Morcom, William C. Filipelli, Harold Nicholas, Theodore C. Galus​. 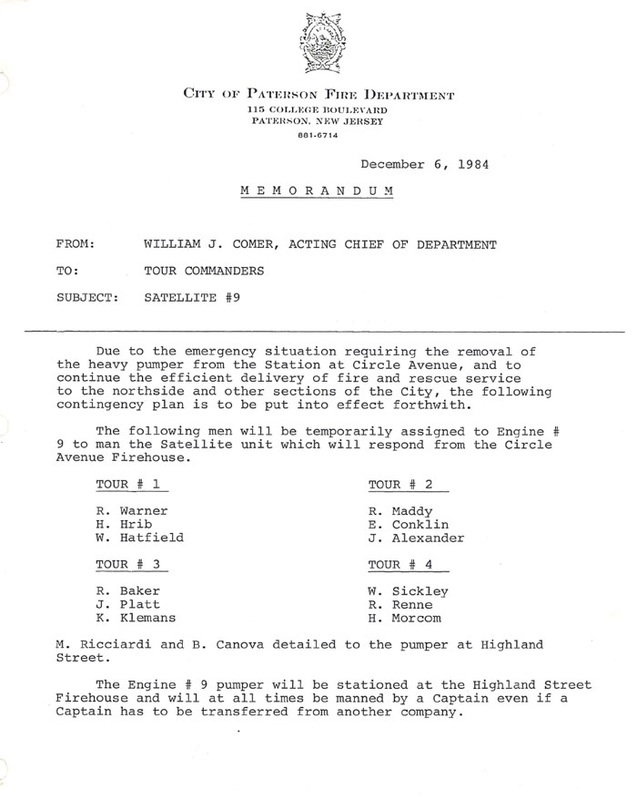 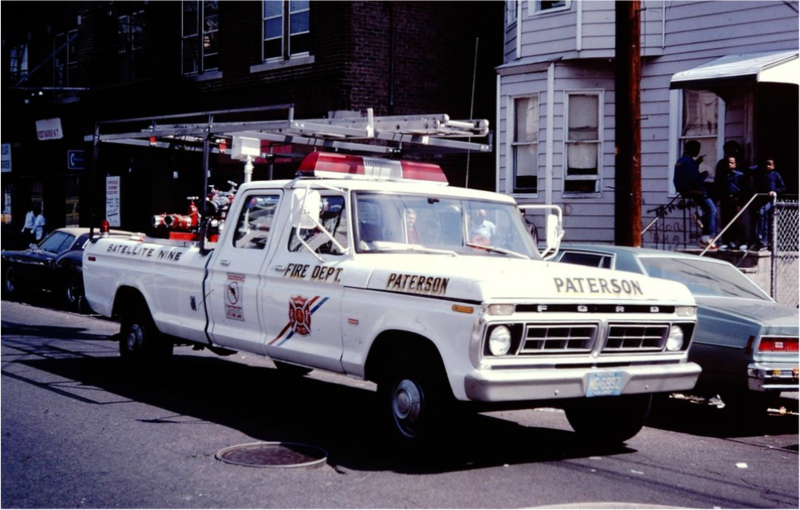 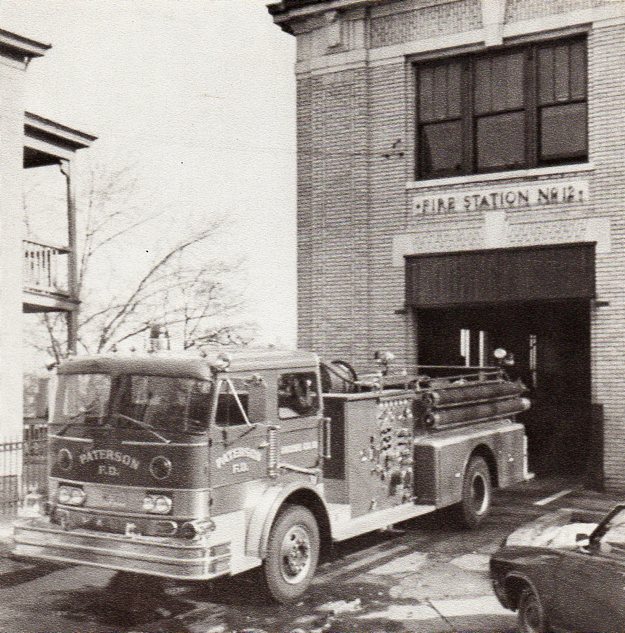 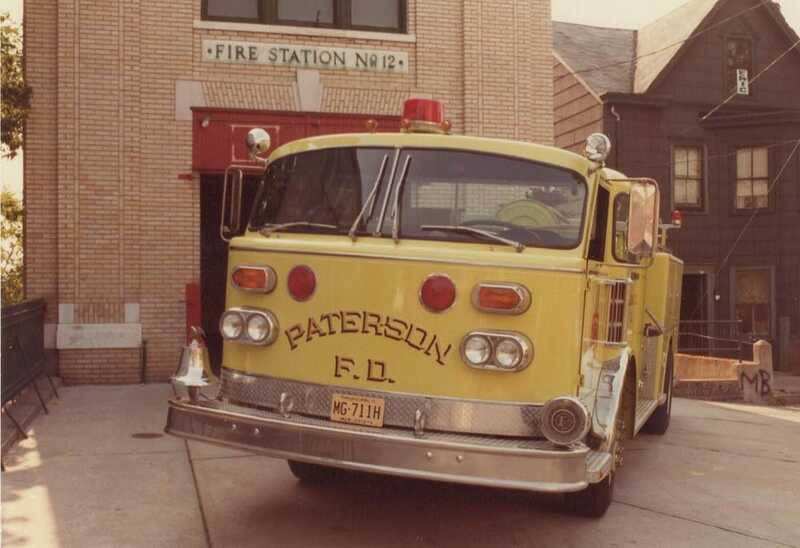 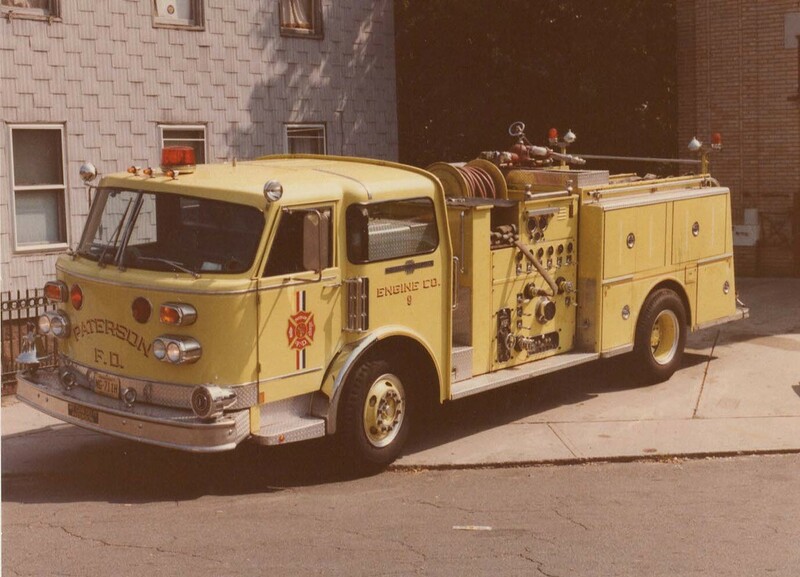 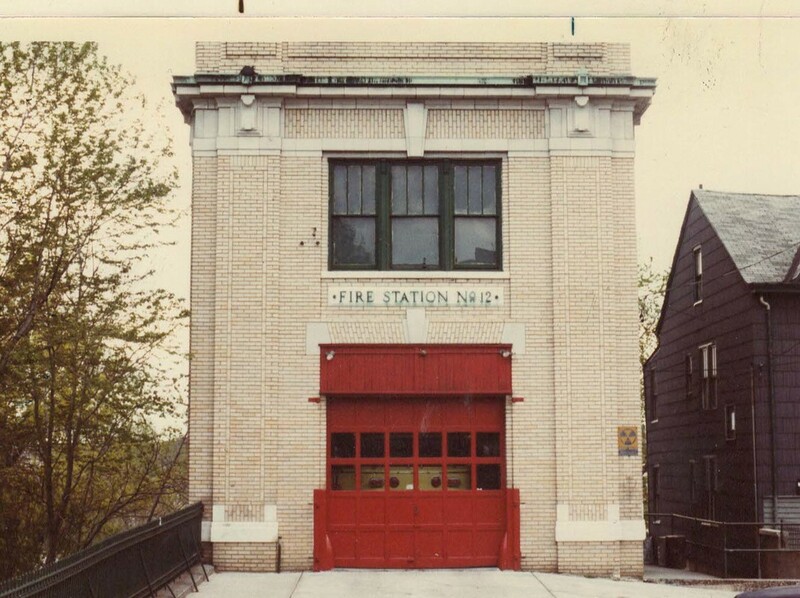 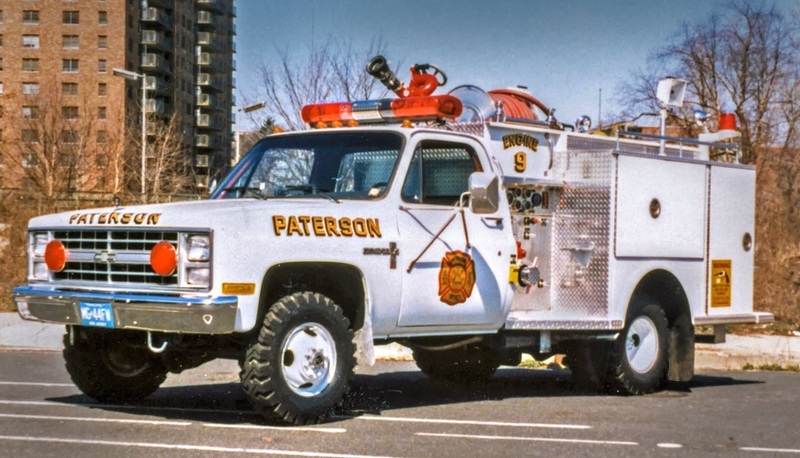 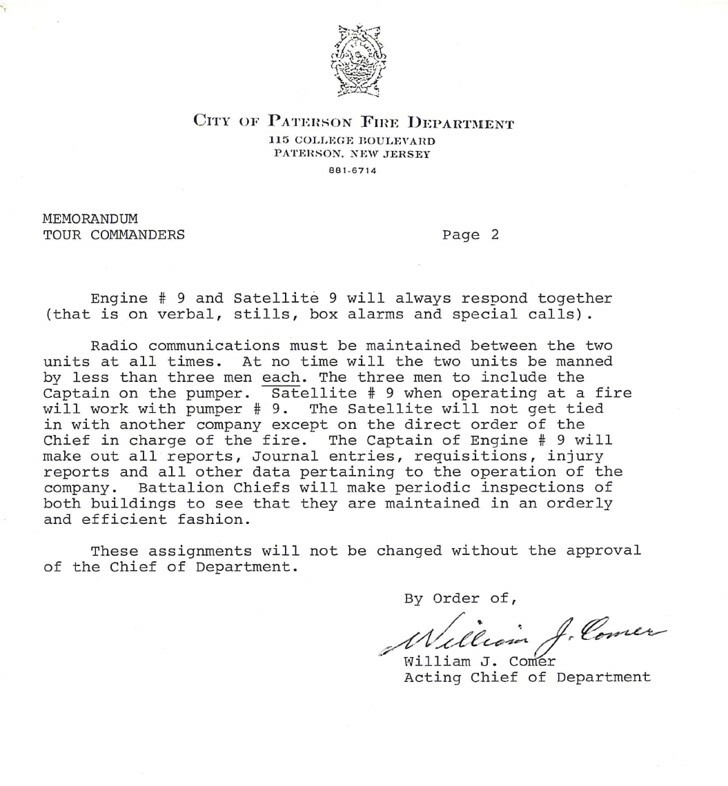 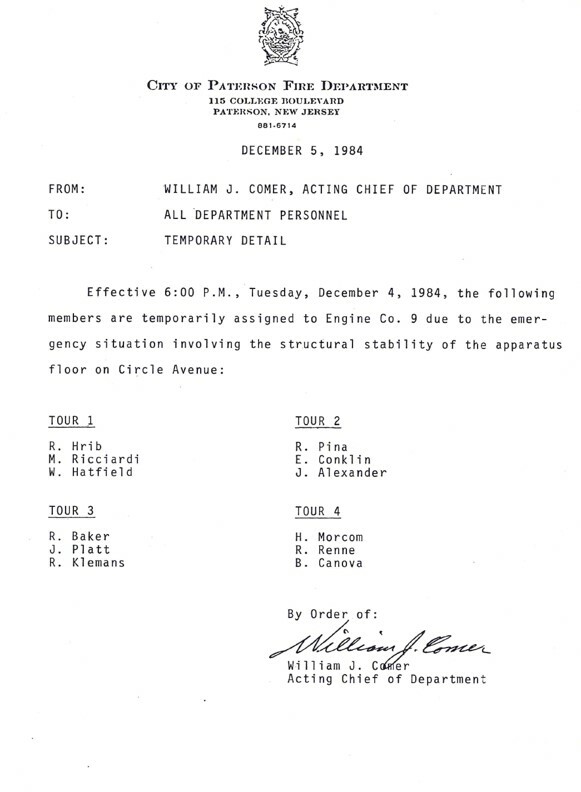 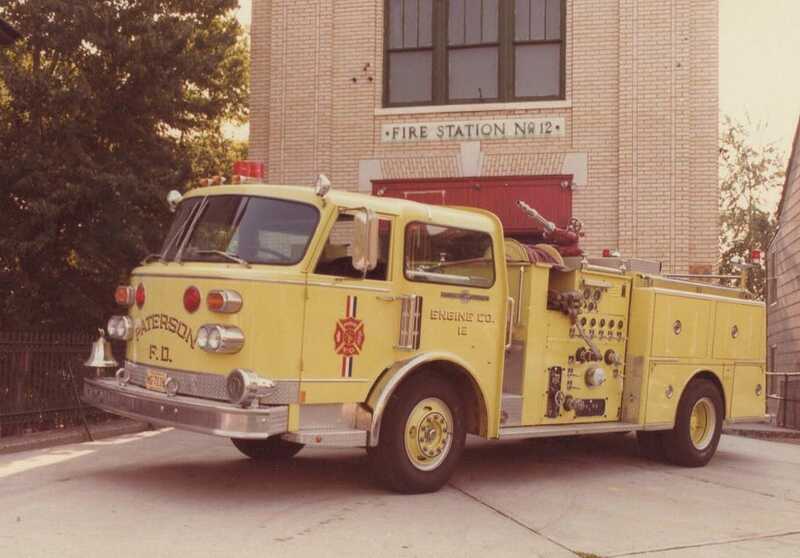 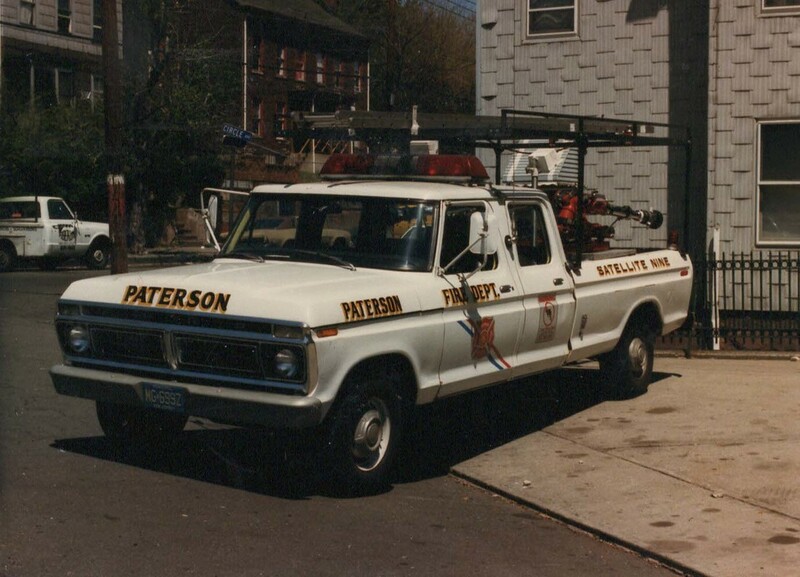 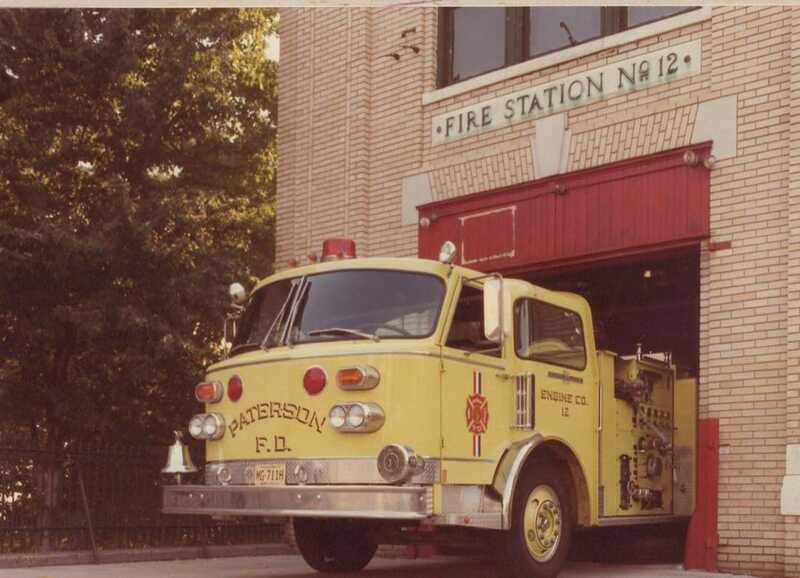 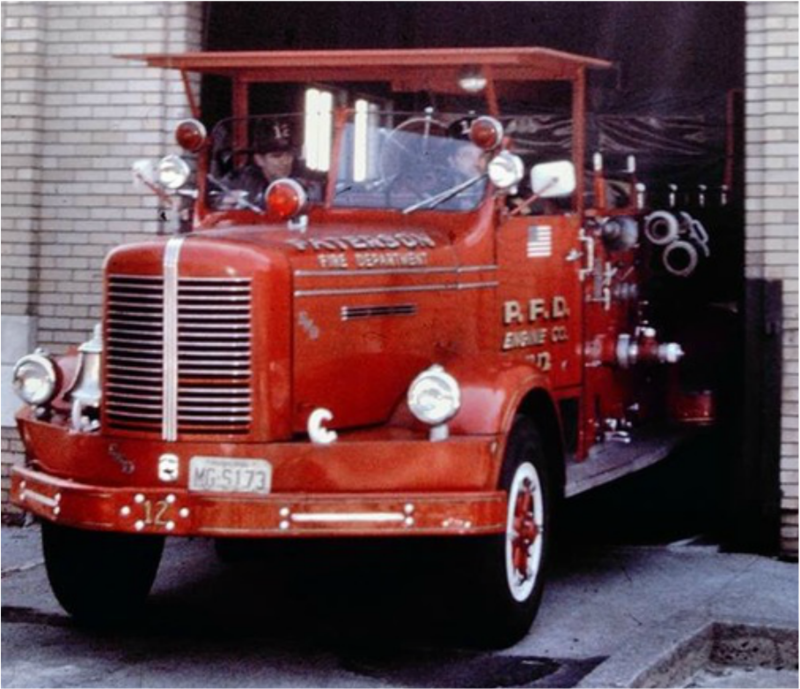 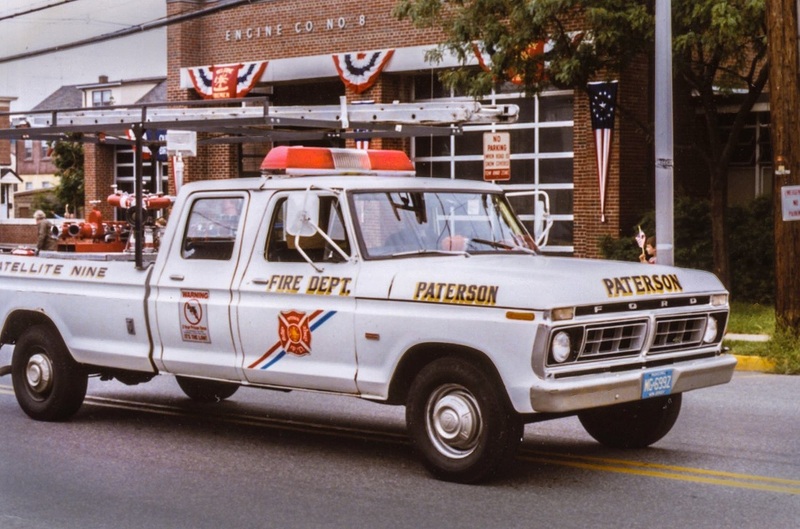 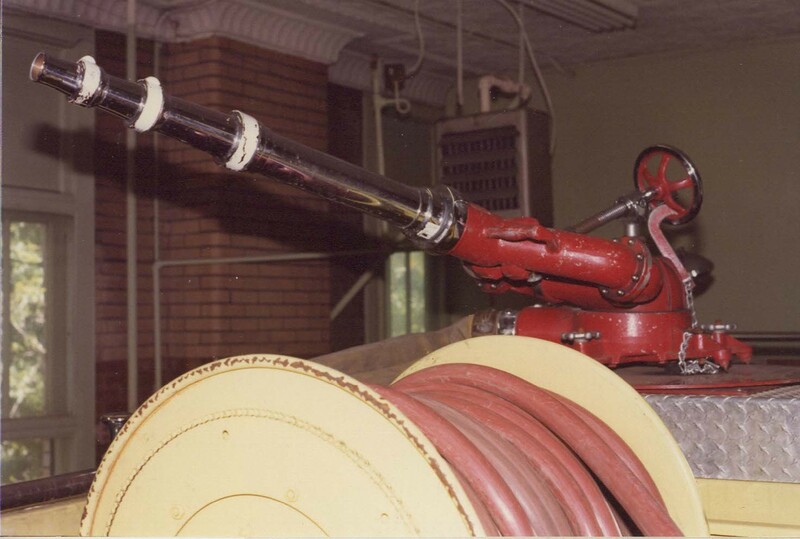 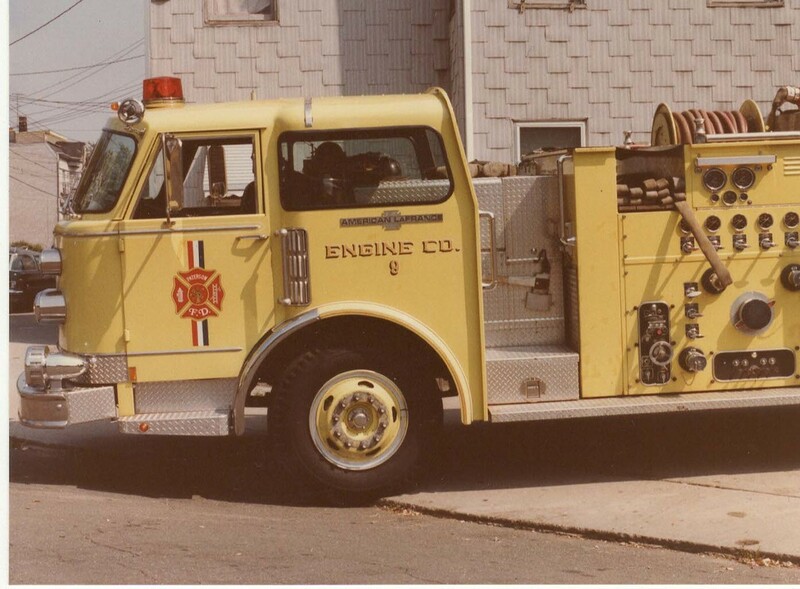 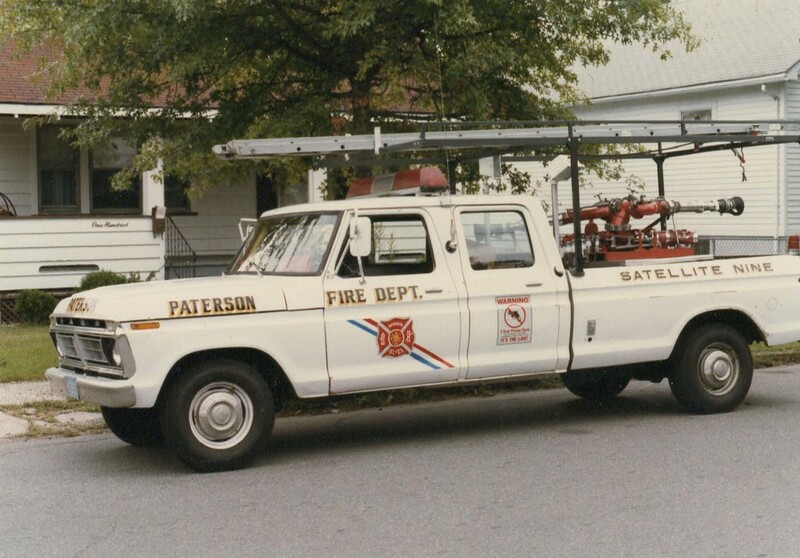 ​December 4, 1984: Because of structural issues the large pumper had to vacate 36 Circle Avenue and Engine Company 9 relocated to 77 Highland Street and the Satellite Company was created. 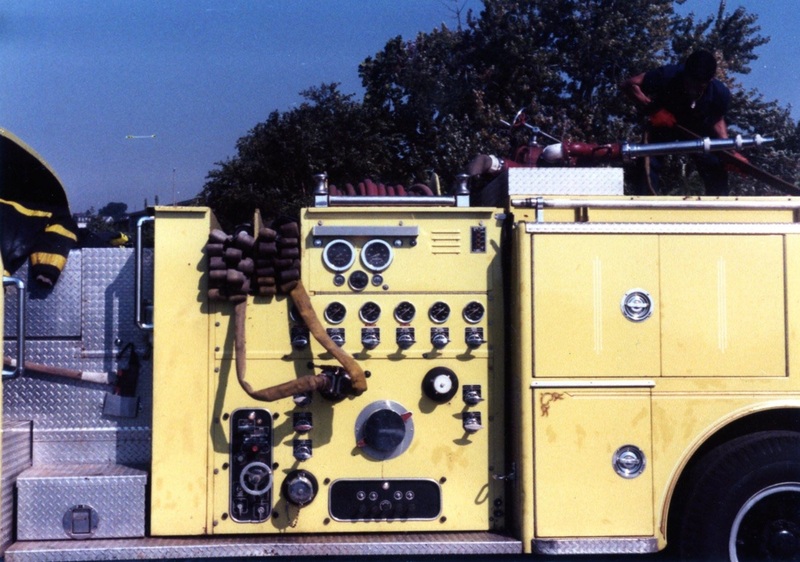 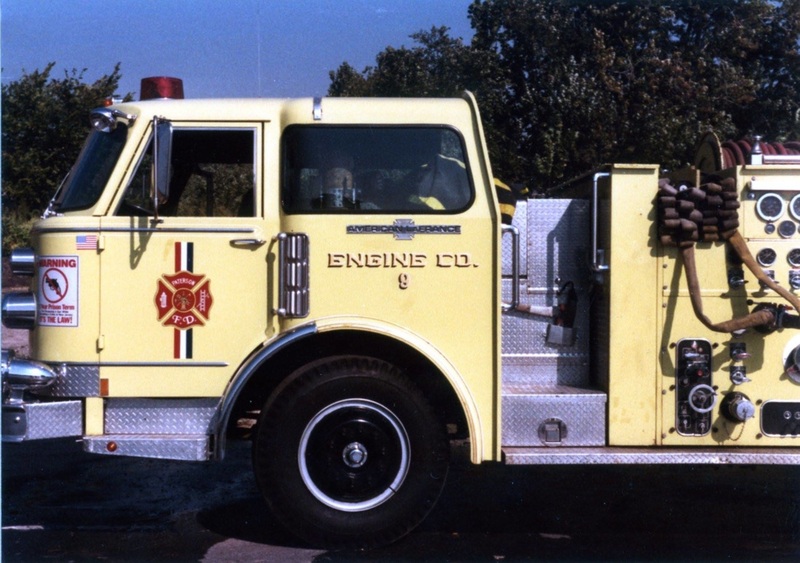 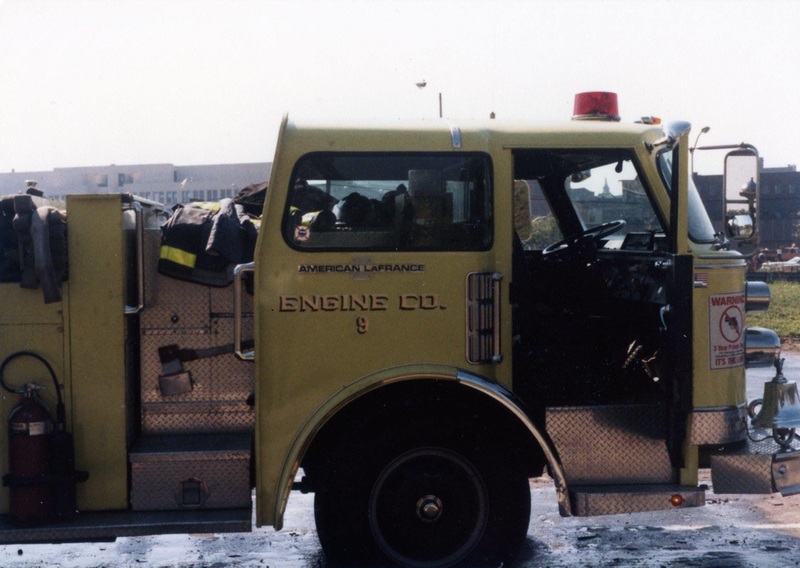 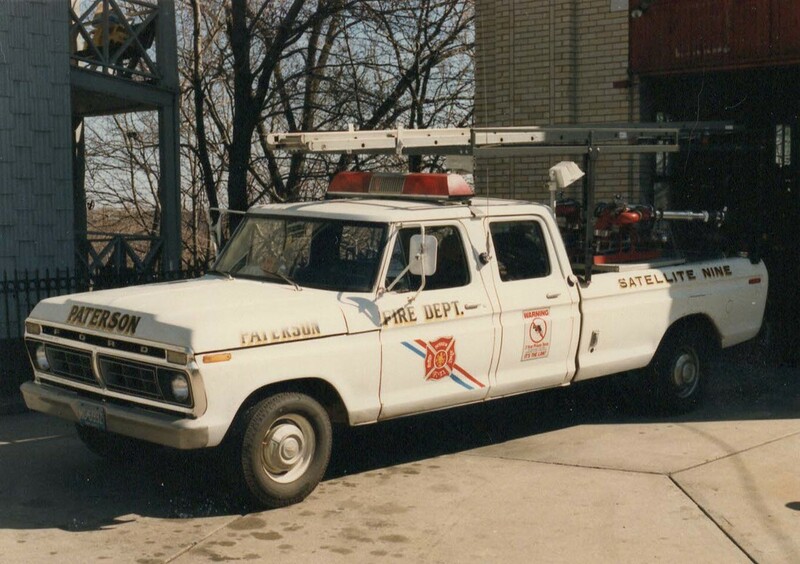 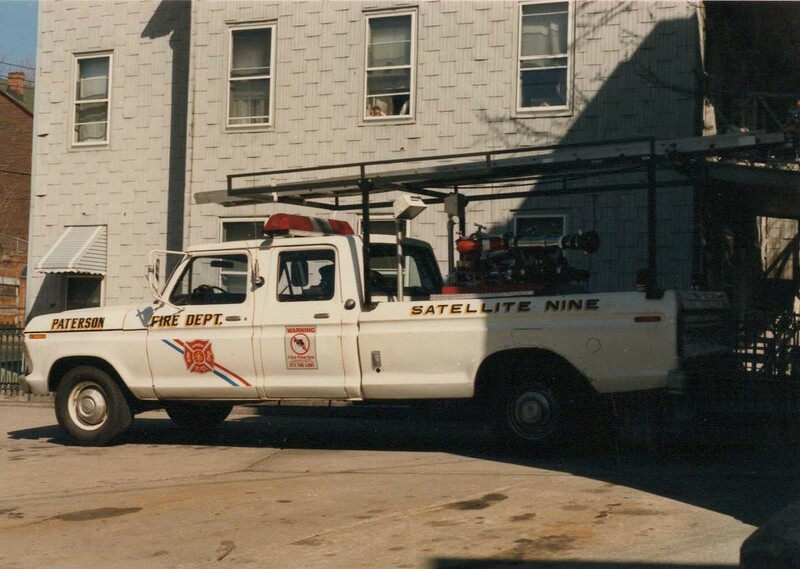 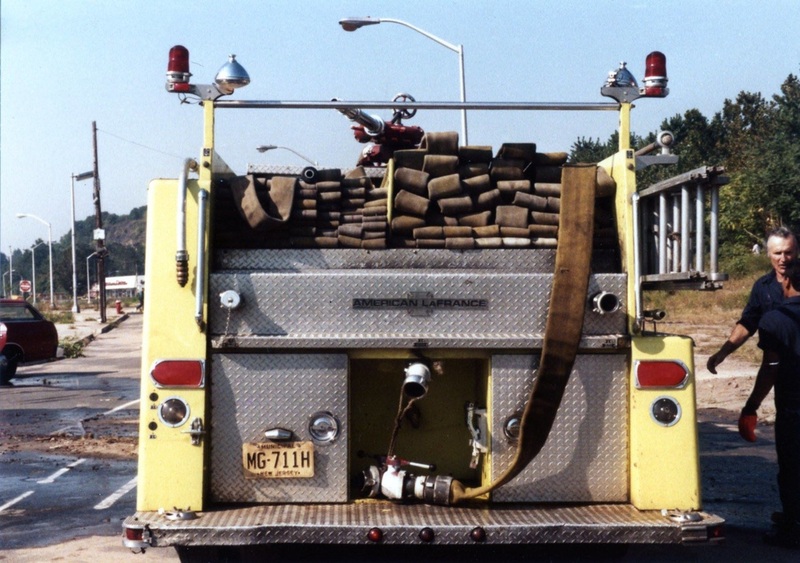 December 4, 1984: Satellite 9 ran out of 36 Circle Avenue using 1976 Ford Crewcab (formerly used by Squad 1) with two 1200 gallon deluge guns and hose. 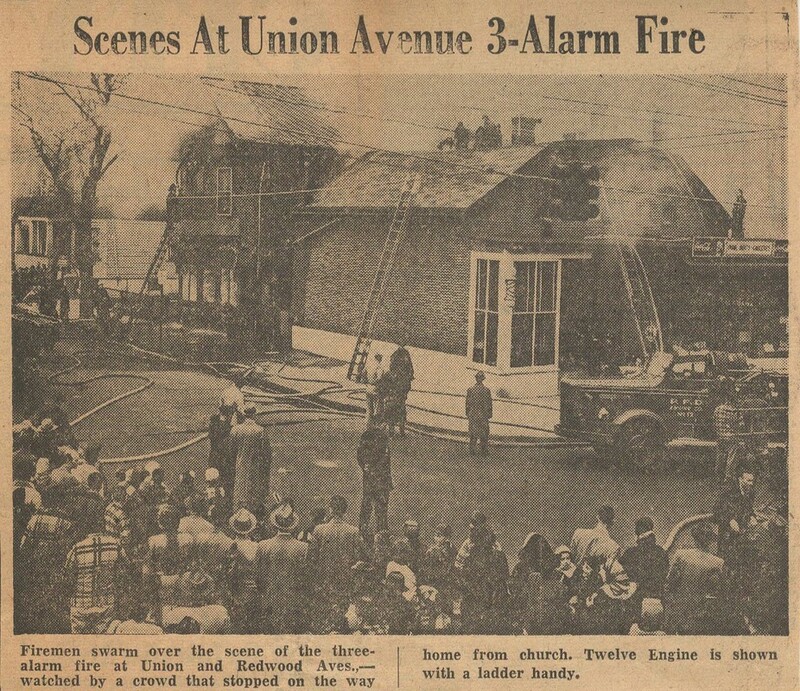 Two men manned the Satellite while the Captain and two firefighters were assigned to the actual pumper on Highland St. Circle ave was not the best of areas...It could somewhat unnerving with only 2 firefighters in that house in a high crime area. 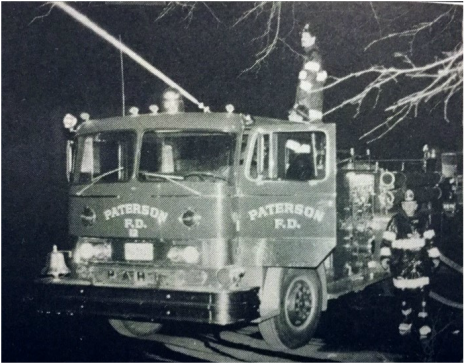 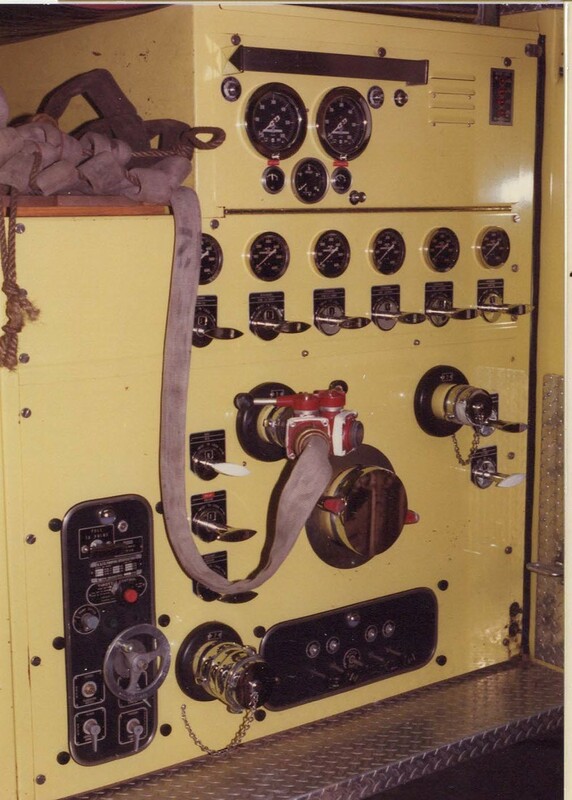 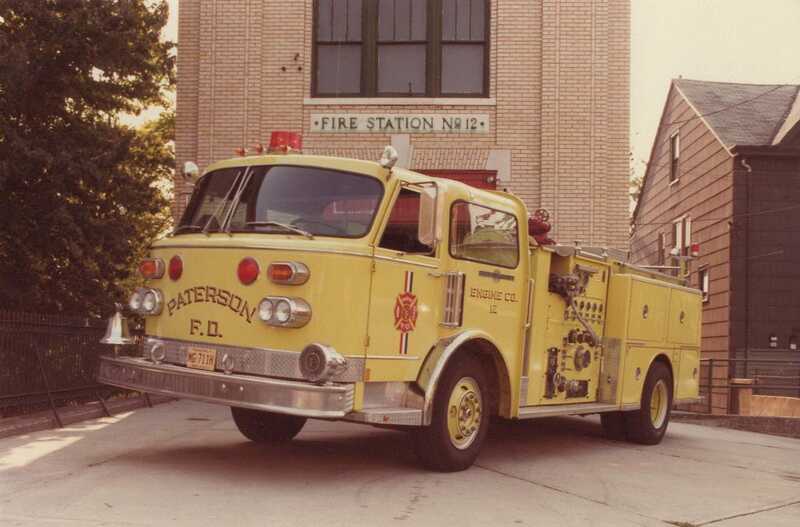 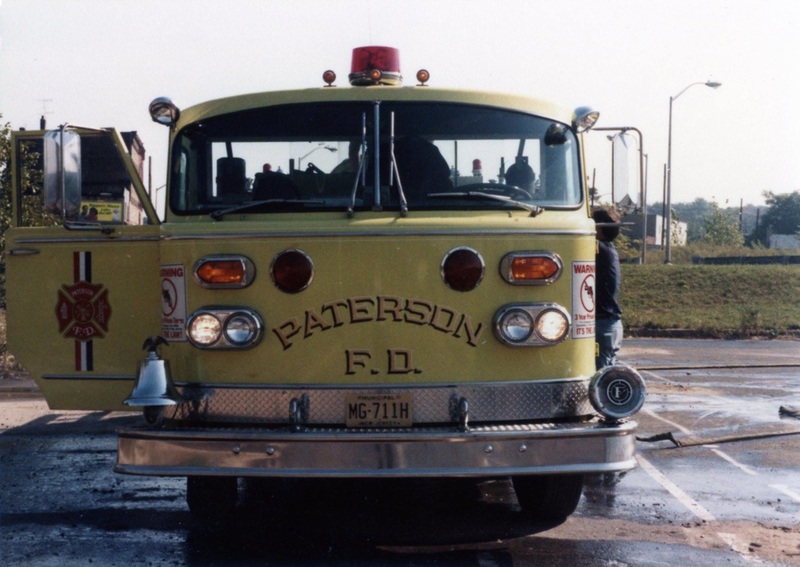 While the actual Engine engine was located on Highland St, quite a distance away, if the squad pulled up first due, they stretched the line and waited for the first arriving Engine to pull up and hooked into them....Other than that they connected with the "Mothership" at a fire scene.